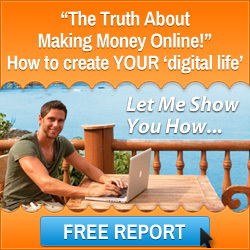 Is is possible to work less earn more in an online business? Mark Ford reveals simple strategies and the resources to make this all a reality. It is a total misconception that you have to put more hours in to earn more and I am going to show you how you can work less earn more in your online business. You may have heard the expression of “work smarter and not harder” and people who understand this principle do actually work less earn more in the business. It is a mindset shift that you have to adopt and embrace and when you do you will wish that you had done it a long time ago. You will also enjoy the extra time you will have to do the things you love, with the people who are closest to you. The Pareto Principle – Also know as the 80/20 rule which means that 20% of your time produces 80% of your results. This is basically about time management. You need to look at the physical task that you undertake in your online business and focus more on the income producing activities and less on the tasks that produce little to no results. Don’t be busy just for the sake of it. Automate Your Business – Technology is advancing at break neck speed, you can leverage this to complete many more tasks in a fraction of the time that it would take you to do them. 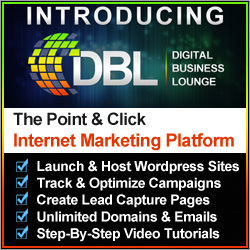 When we are looking at an internet business you can set up funnel systems that work on auto-pilot. This leaves you more time to concentrate on the marketing side of your business, this is the income producing activity. The same can be said for the administration side of your business. You may have payroll to sort out, you will definitely have accounts to manage. All of this can be done with automated software. Outsource Tasks Of Your Business – We live in a digital age and you can connect with people all over the world and get them to undertake many aspects of your business. There are many countries in the world that have highly skilled and talented people who can accomplish tasks that your home business needs to have completed. They also command much lower wages so this brings your overheads down dramatically. You could even hire a virtual assistant to mange your whole business, which leaves you the time to enjoy your favourite activities. Create Passive Income Streams – If you work a traditional job or run a business which requires you to be physically present, then you only have a certain number of hours in a day where you can make money. Passive income streams are a game changer if you want a life with more time freedom. This relates to the automation part of your business. If you set your systems up correctly and also your marketing campaigns, then these will work for you in the background 24 hours a day. Also if you sell products and services that incorporate the subscription business model, then you will have money coming into your account everyday on complete auto-pilot. You may have heard of people making money while they sleep, well this is how you do it. You may think that it is hard to sell a $1000 product but I can assure you that it is not. Here we go back to the marketing funnel business model. The top of the funnel is where a free offer, or a very low value entry level product, is positioned. Within your sales funnel you have products that increase in value. Now not everybody who enters you funnel will buy everything you have. Some will though, and they are prepared to purchase products with values of between $1000 – $20,000. This is where you make your profits and they soon add up. If you are looking for all the resources to enable you to work less earn more, then the Six Figure Mentors has everything you need all in one place. 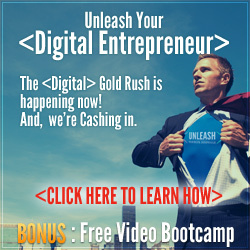 They are an online business education organization which specializes in helping people create a digital lifestyle, through creating a profitable online business from scratch. You will learn valuable mindset strategies so that you can fully understand the Pareto Principle. Also they have a ready made product line that you can promote as an affiliate of the company, and yes they have those all important high ticket products I was referring too. 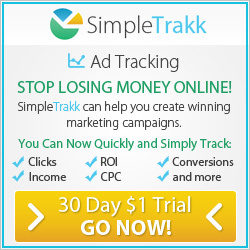 You can leverage their proprietary digital business system that has all the sales funnels in place, which are completely automated to enable you to create passive income streams. To find out more about everything I have mentioned about the Six Figure Mentors click on the image below. To work less earn more is completely possible. I have shared with you the strategies and resources to make it happen. Click on the image above to get started today. I wish you every success in running your home business from anywhere in the world and working less to earn more. This entry was posted in Mindset and tagged mark ford, online business, work less earn more. Bookmark the permalink.